Offers as received. Over the top custom built 1,750 sf bungalow, situated on prime lot facing the lake in Scotswood Meadows. Home has an open concept great room floor plan w/ hardwood floors throughout main floor. Eat-in kitchen has 2-tone cabinetry, large island, backsplash + top of the line Dacor appliance package - ultra premium and luxurious. The family room is spacious w/ big bright windows, gas fireplace and built-in speakers with control 4 system. There are 3 bedrooms upstairs w/ a large master bedroom and walk-in closet and deluxe ensuite bathroom with his and hers sinks, deep soaker tub + custom glass shower. Basement is ready for development that is open concept with 9' ceilings and steel beam construction. Outside there is a large 2-tier composite deck with lighting, low maintenance and the beauty of wood, gas line for bbq and wiring for a hot tub. 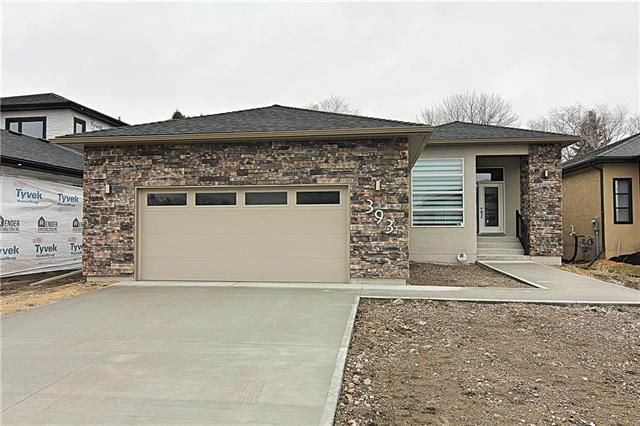 Other upgrades include: Acrylic stucco, 40 yr fibreglass base asphalt shingles, custom blinds and an insulated and drywalled 24x20 garage.